When Tyron Woodley lost the UFC welterweight title to Kamaru Usman at UFC 235, it signalled a passing of the torch at 170 lbs. Not only does the division have a brand new champion who is only 31 years old and in his prime in Usman, but it also has a number of fresh title contenders that have recently emerged. 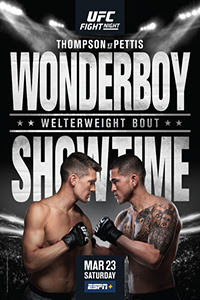 The welterweight division has not been healthier since the retirement of long-time champion Georges St-Pierre, and the present and future of the weight class is very bright. At this point, the former champion isn't part of the title picture, and even though Woodley had a solid run with the belt, it's probably for the best that the division moves on and has a fresh start. With Usman as the champion, the UFC surely hopes the title will be defended more frequently than when Woodley was the champion. First up for Usman is a date with Colby Covington, the former interim champ. This is a great title fight for Usman's first defense, and the fact the UFC has already confirmed the fight and that it's likely to take place this summer is a very good thing. 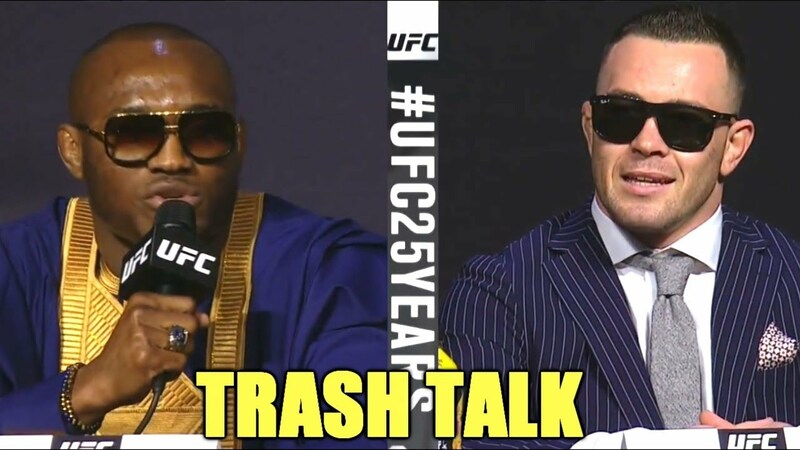 But what makes welterweight truly strong is the next wave of title contenders after Usman and Woodley. The days of mainstays like Woodley, Robbie Lawler, Rafael dos Anjos, Stephen Thompson, Demian Maia and Johny Hendricks leading the division are over. These are quality fighters who had their chances but are now relics of the past. 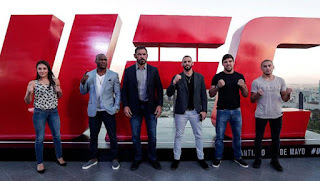 The division is now full of new, fresh title contenders, many of whom are just waiting for the UFC to give them pushes and the chance to become household names. 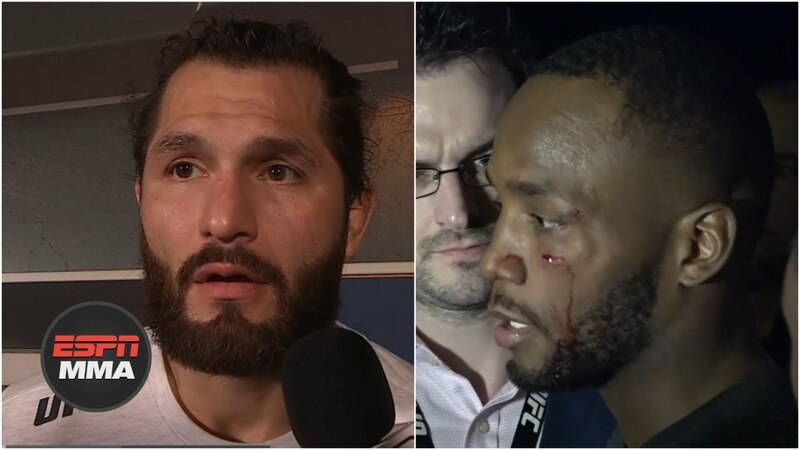 One of these fresh contenders is Leon Edwards, who defeated Gunnar Nelson via split decision at UFC on ESPN+ 5. Edwards is a quiet but impressive 9-2 overall in the UFC and is riding a seven-fight win streak right now, with his only loss in the last five years coming to Usman. With his combination of striking and wrestling, Edwards is an extremely well-rounded fighter at 170 lbs, and on the heels of Darren Till getting knocked out in brutal fashion by Jorge Masvidal at on the very same card, Edwards now has a golden opportunity to emerge as the face of British MMA. Another fresh contender is Ben Askren, who recently had a successful UFC debut with a submission win over Lawler at UFC 235. 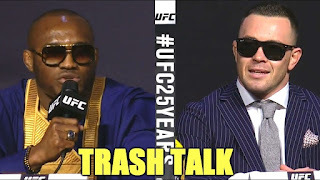 No one is a better talker than Askren, and although he's in his thirties and a bit older than some of the other fresh contenders, he's clearly one of the best welterweights in the world. And with his undefeated record, he's an easy sell against anyone. It seems like he'll fight Masvidal next if Edwards doesn't get that fight, but another win in the Octagon and Askren will have as good of an argument for a title shot as anyone. Another fresh contender is Santiago Ponzinibbio, who is on a seven-fight win streak and is also 9-2 inside the Octagon. He's one of the UFC's best fighters from South America right now, and if he can stay healthy he could be a big chip for the promotion. Vicente Luque is also worth mentioning, as he's 8-2 in the UFC and is coming off of a "Fight of the Year" knockout win over Bryan Barberena. Speaking of win streaks, we can't forget to mention Elizeu Zaleski dos Santos, who is 7-1 in the UFC and on a seven-fight win streak. There's also Anthony Rocco Martin, who is 4-0 since moving up to welterweight and who recently jumped into the rankings, and Geoff Neal, who has looked fantastic in the UFC. The welterweight division is arguably at the deepest it's been in years. 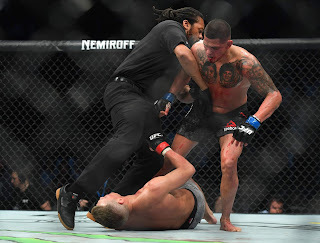 And of course we have to mention Anthony Pettis, who just knocked out Thompson at UFC Nashville. It's truly amazing how many fresh title contenders there are at 170 lbs right now, and with Woodley losing the belt, the division is wide open for all of them to get their shot at the new champion Usman. Instead of having a backlog of contenders waiting to get their chances to fight for the belt, each of these fighters have a clear path to the title. Every division goes through times of change, and welterweight is going through one right now. There is so much talent at 170, and now these fighters will get the chance to prove their worth inside the Octagon. Let's just hope Usman can stay healthy and defend his belt, because if that's the case, the division is going to be in tremendous shape for years to come. With the GSP and Woodley eras over, the welterweight division has officially moved on.